Restaurante Sobrino de Botín has seen it all. 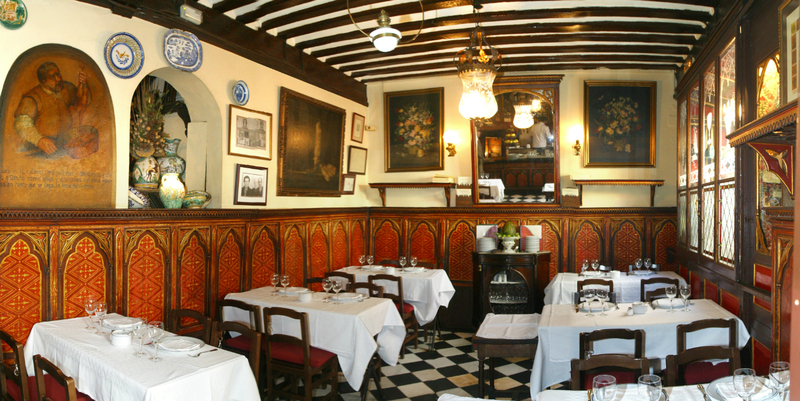 Having opened its doors in 1725, the oldest restaurant in the world has witnessed the Age of Enlightenment, the Spanish Civil War, the joining of the European Union, ten Real Madrid European Cup Champions League titles, and more. Located just minutes away from the Plaza Mayor, the Botín is as much situated in the heart of Madrid as it is the heart of Madrid. Sobrino de Botín’s very name (which translates into “Botín’s nephew”) carries the weight of tradition and family. 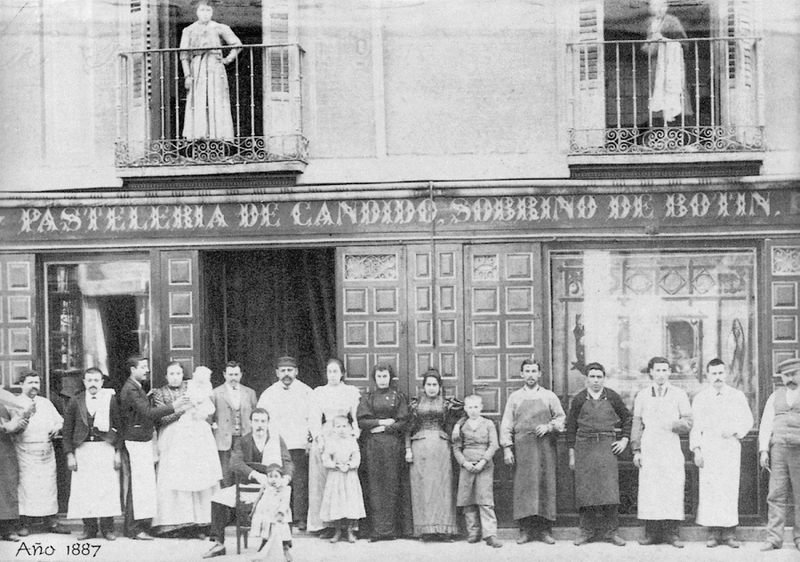 It also explains the origins of the restaurant, which was inherited by the original Botín owner’s nephew, and operated by the same family until the turn of the 20th century. Currently, the González family, who took over the restaurant’s management after the original owners, are now in their third generation of ownership and run Botín with diligent commitment to tradition. True to Spanish flavours, Botín’s specialty is Castilian cuisine. 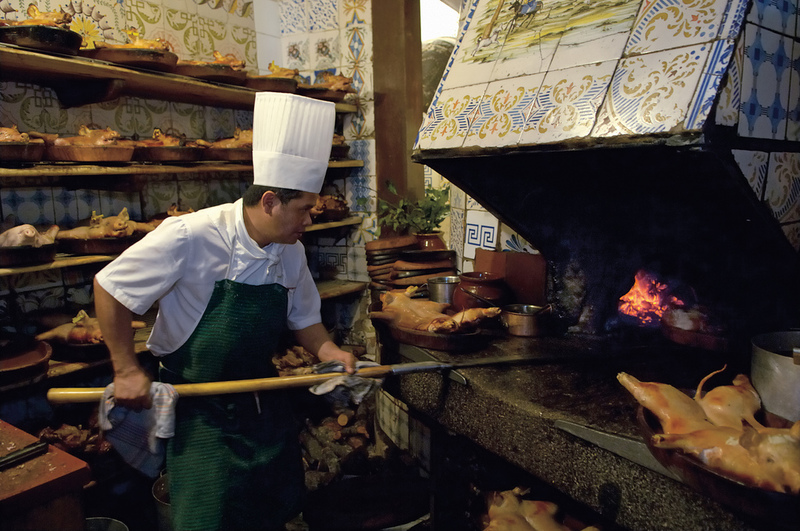 Their renowned suckling pig is delivered three or four times a week from Segovia and roasted in the restaurant’s original eighteenth-century wood oven. Similarly, the roast lamb is sourced straight from Sepúlveda-Aranda-Riaza and cooked in-house. The cozy, classic fare is in sync with Botín’s décor, which has remained largely unchanged over the years; the four level dining area and brick and stone walls are reminiscent of a 1700s tavern. This setting has played host to some of history’s most influential writers. F. Scott Fitzgerald, Graham Greene, and Ernest Hemingway all observed the sights and sounds of Madrid from Botín’s tables at some point of their lives. In Hemingway’s Death in the Afternoon, the author even pays homage to the restaurant, noting “I would prefer to dine on suckling pig at Botín than sit and think about the accidents which my friends could suffer.” Is seems many share Hemingway’s sentiment—Botín continues to draw crowds, making a reservation essential. 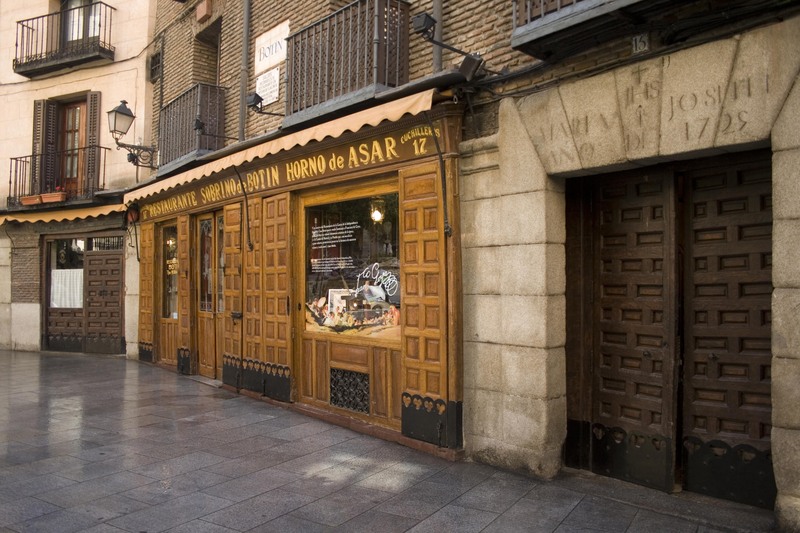 After almost 300 years in business, what is the recipe to Botín’s success? It relies on fresh ingredients, a dash of hospitality, a sprinkling of first-class cooking, and a heavy dollop of tradition.